The Norfolk, Va.-based railroad said it set records for net income, earnings per share, operating income and operating ratio when it made its report public Oct. 24. Net income was $702 million, compared with $506 million in 2017, an increase of 39%. Diluted earnings per share of $2.52 marked a third-quarter record and a 44% increase over $1.75 in 2017. 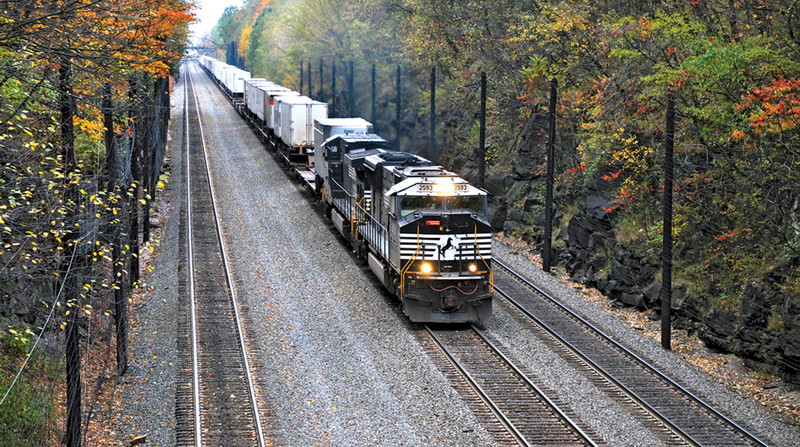 Norfolk Southern said operating revenue for the quarter was up 10% year-over-year, to $2.94 billion compared with $2.67 billion in the year-ago period. Revenue increased 9% in the largest category, transporting merchandise. Intermodal was up 20%, and coal increased a modest 3%. The company said its operating ratio was 65.4, a year-over-year improvement from 65.9 in 2017. Operating ratio, or operating expenses as a percentage of revenue, is a key industry metric used to measure efficiency. The lower the ratio, the greater the company’s ability to generate profit.